Professor Chang, Professor Rivas-Echeverria, Prof. Maria Garcia Isabella Planas - all involved in WSEAS activities for more than seven years - gave short presentations regarding the role of the WSEAS and, in particular, its objective of acting as a medium for transfer of knowledge amongst different partners, including academics and professionals. They stressed the future applications of many research ideas developed at the WSEAS, which are reflected in the growth of its Industrial Research Division. The work of WSEAS does not attempt to replace or compete with those of other institutions, but WSEAS sees itself as complimentary to many different organizations around the world. 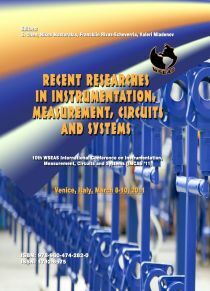 The conferences and publications program of the WSEAS provides an important mechanism to achieve this objective. Many new initiatives at the WSEAS reflect its commitment to advanced research dissemination. All WSEAS Publications, including Journals and books, are now offered in digital format, aiming to reach an even wider audience. Panagiotis Pantazis (WSEAS) also pointed out the importance of the Journals launched by WSEAS, particularly those in the field of Systems Theory, Mathematics and Computers. Outstanding papers, as well as new books are always valued by WSEAS. So, Professor Chun-Ming Chang (Chung Yuan Christian University, China) also Plenary Speaker in the past WSEAS Conferences, presented his Plenary lecture "Analytical Synthesis Method---A New Mathematical Design Method for the Analog Circuit Design". As he pointed out, it is one of the powerful design methods in the field of analog circuit design. It is the method using a succession of innovative algebra manipulation operations to decompose a complicated transfer function representing the relationship between the output and the input signals of a design project into many simple equations feasible by using the corresponding simple sub-circuitries. The simple sub-circuitries can be constructed by the desired configuration of the element, such as the single-ended-input operational transconductance amplifiers (OTAs) and the grounded capacitors, both of which are used for absorbing and reducing the shunt parasitic capacitance and lead to have more precise output responses. In addition to this, the ASM can control the number of the terms in the complicated decomposition process such that the number of both active and passive components used in the circuit is the least compared to the previously reported ones. Then, the ASM is the only one method which can simultaneously achieve the three important criteria for the design of OTA-C circuits without trade-off. Due to the flexibility of the ASM, the simple sub-circuitries used in the circuit design can be changed and chosen according to different necessities for the target of the circuit design. Professor Francklin Rivas-Echeverria, who has also organized his own WSEAS Multiconference, presented the invited talk "Artificial Neural Networks Applications for Virtual Sensors Design". He presented several ideas on virtual sensors design. Virtual sensors are widely used because they are computer programs that can be changed or updated when it is necessary. 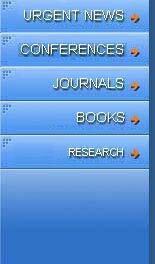 These programs can consist of a mathematical model, heuristic models or intelligent model. Virtual sensors are some times designed for working in parallel with a physical sensor in order to evaluate its performance, but they can also be used for having on-line estimation of the desired measurement. Neural networks have been one of the most used intelligent tool for designing and developing Virtual Sensors due to its accuracy, its capability for identifying complex nonlinear dynamical systems, giving appropriate results in different situations, modeling and Identification capabilities and easiness of implantation. 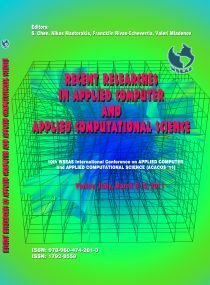 This plenary presented some methodological frameworks for designing Virtual Sensors using Artificial Neural Networks. This Methodology is based upon Software Engineering, Knowledge-Based Systems and Neural Networks schemes. 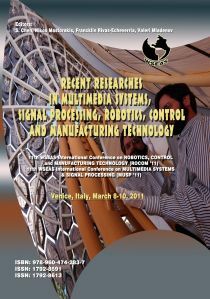 It included both technical and economical feasibility for building the virtual sensors and considered important aspects concerning computational platform, data processing, virtual sensor requirements, among others. Furthermore, Professor Sahin Yildirim presented a new Design methodology of Neural Predictor for Noise Analysis of Cooling System. In his study, a procedure of testing and evaluation on the noise quality of cooling system was presented. Both the experimental analysis of cooling system and the simulation analysis of noise parameters using Neural Network (NN) were implemented. In his study, an Intelligent Data Acquisition and a microphone are used to measure the system noise. Different types of NN are used to investigate the noise parameters. The results show that Radial Basis Neural Network (RBNN) gives superior performance for predicting the noise of cooling system. 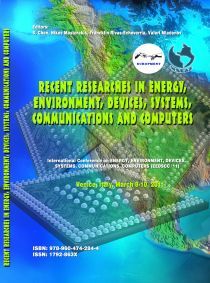 by Prof. Chun-Ming Chang, Chung Yuan Christian University, R. O. CHINA. by Prof. Sahin Yildi, Erciyes University, TURKEY. The WSEAS conferences in Venice offered the delegates ample opportunity for interaction through a series of social functions and during dinner and coffee breaks. The conference dinner took place in the Hotel with a superb buffet of more than 40 courses. The occasion was most enjoyable. During the Banquet our delegates learned about the famous naval republic of Venice. The Republic of Venice was a major maritime power during the Middle Ages and Renaissance, and a staging area for the Crusades and the Battle of Lepanto, as well as a very important center of commerce (especially silk, grain and spice trade) and art in the 13th century up to the end of the 17th century. This made Venice a wealthy city throughout most of its history. Venice has played an important role in the history of symphonic and operatic music, and it is the birthplace of Antonio Vivaldi. The WSEAS did not organize any special excursions, but the participants had several opportunities to visit the famous Bridges in Venice, as well as its famous Churches (S. Marco's cathedral), several Museums and Palaces (like the Place of Doge). These unofficial excursions and other social functions helped cement the links between the participants and provided a friendly atmosphere in which to discuss opportunities for further research collaboration. The 4 WSEAS conferences were highly successful, and will be reconvened in the near future in a location and date to be decided soon.